Saturday, November 3, 2018 10:00 am – 2:00 pm. Who should attend? Parents, adult siblings, and By Their Side members. Families who are not By Their Side members are always welcome.. The Person Centered Plan is replacing the Individual Plan, community based services are replacing day programs... with such changes underway, you may wonder about the underlying vision of Person Centered Services. Learn about this and how families can advocate for their loved ones. Joanna Pierson, Ph.D. is Executive Director of The Arc Frederick County, which provides innovative, person centered services. She is a Fellow and Past President of the American Association on Intellectual and Developmental Disabilities (AAIDD) and a professor at the University of Maryland School of Social Work. Supporting growth in independence for people with developmental disabilities has traditionally focused on skills training. With the Coach Approach, asking someone what should happen and how can be key. Developed as an interactive training for direct care staff, this approach is valuable for families and advocates alike. Beth Greenland, PCC, Coach Approach Partners, and Monica McCall, Ph.D., Executive Director of Creative Options adapted this empowering approach to support for people with disabilities. Cost: $25.00 includes Hellas famous Luncheon Buffet featuring crab balls and Greek specialties. Register by Monday, October 29, 2018. Don't Delay! Gail Godwin Executive Director of Shared Supports Maryland discussed Person Centered Planning which generated discussion about person centered services. Lori Markland of Maryland ABLE discussed this valuable new resource that allows people with disabilities (and their familie) to save now for disability related expenses while protecting benefits ilke SSI and Medical Assistance. Sage Hart, Esq with O'Byrne Law provided a comparative overview of Special Needs Trusts. Since DDA requires Medical Assistance eligiblity before funding services, an ABLE account may be a good resource for saving assets in excess of $2000 if spend down is a challenge. Patti Saylor was the recipient of the By Their Side Martin Lampe Leadership Award, for her courage and effectiveness in addressing training needs of police officers in Maryland and elsewhere in the nation. February 19, 2017 Insight on disABILITY Talk Radio 680 WCBM AM featured By Their Side on it's Sunday evening program. Host Michael Gerlach and Kathy Vecchioni discussed By Their Side's founding parent's desire to assure future advocacy, 50 years ago, and the range of advocacy services currently available. Mark Wagner, Board President and parent, talked about his plans for By Their Side advocacy support for his son and his out of state siblings. Board member and sibling Joan Chevalier discussed the advocacy services she arranges for her brother when she travels for work. Listen to the archived program; the interview begins 13 minutes into the recording. 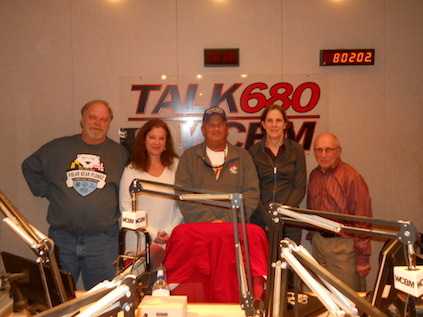 Pictured: Lou Botteon, Insight on disABILITY announcer, Kathy Vecchioni, Mike Gerlach, Insight on disABILITY host, Joan Chevalier, Board Member, and Mark Wagner, Board President. November 5, 2016 By Their Side Annual Meeting and Luncheon. Brian Cox, Maryland Developmental Disabilties Council discussed ABLE accounts, which will offer families an opportunity to save up to $14,000 a year ($100,000 total) for disability related expenses. Karen Lee, Executive Director of SEEC and recent DDA Public Policy Fellow, discussed DDA's plans to shift from center based vocational services and activities to jobs and community based activities, by 2019, as mandated by Centers for Medicare and Medicaid Services which funds about half the cost of services. Toni Webster and Nicole Hazel of The Arc Northern Chesapeake Region discussed how the Arc closed its segregated workshop and activity centers over 10 years ago, in favor of jobs and community based activities. 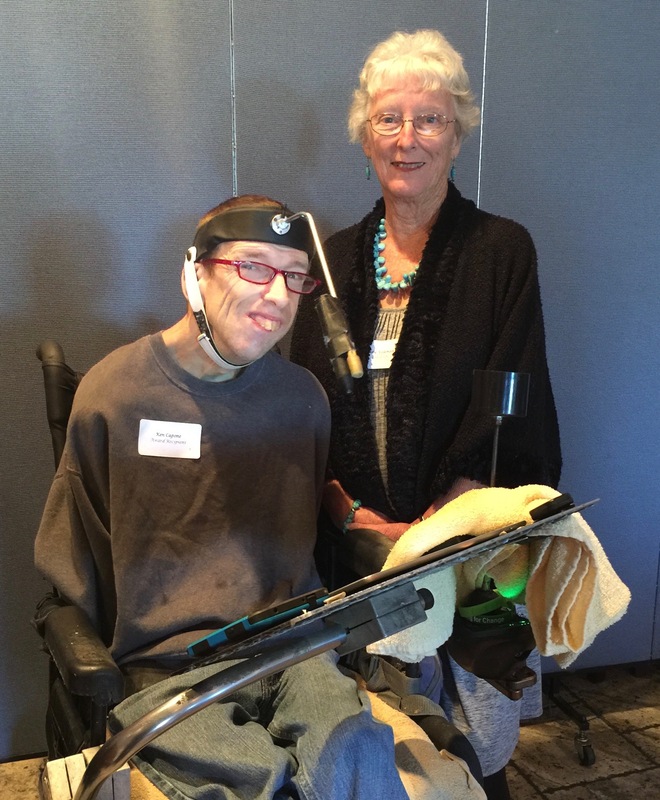 Board member Judy Volkman presented Ken Capone with By Their Side's Martin Lampe Leadership Award. Ken lead People on the Go's successful effort with the Maryland Legislature to end sub-minimum wage for people with disabilities. Pictured: Ken Capone and Judy Volkman, Board Member. October 19, 2016The Baltimore County Commission on Disabilities Award Presentation. By Their Side was delighted to receive the Commission's 2016 Family Support Award. November 2015By Their Side Annual Meeting and 50th Anniversary Celebration. Christine Marchand/Arc Maryland gave an overview of the history of services in Maryland and new opportunities for people with intellectual disabilities. A panel of parents and professionals discussed the issues and resources identified by By Their Side's multi-disciplinary focus group exploring Planning for the Future of an Only Child. October 2015 MD Sibs 2015 Statewide Conference Maryland's first sibling conference, was attended by over 180 siblings of all ages. By Their Side helped plan the conference and participated in a panel discussion of advocacy strategies.By Their Side also partnered with the Maryland Developmental Disabilities Council and Arc Maryland to support the development of the Maryland Sibling Network. 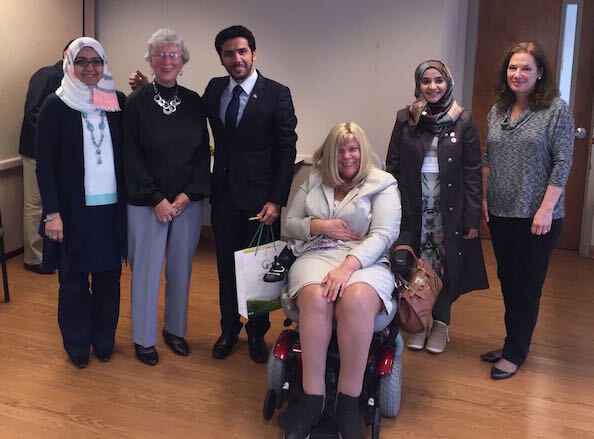 April 2015 By Their Side met with representatives from the United Arab Emirates to discuss advocacy for people with intellectual/developmental disabilities by a non-government organization. Pictured: UAE delegates, Board members Judy Volkman and Tracy Wright, and Kathy Vecchioni. November 2014 Annual Meeting and Luncheon. A panel of By Their Side Advocates discussed their work, and the differences between the Lifelong Advocacy Service and Annual Advocacy Plan Services. 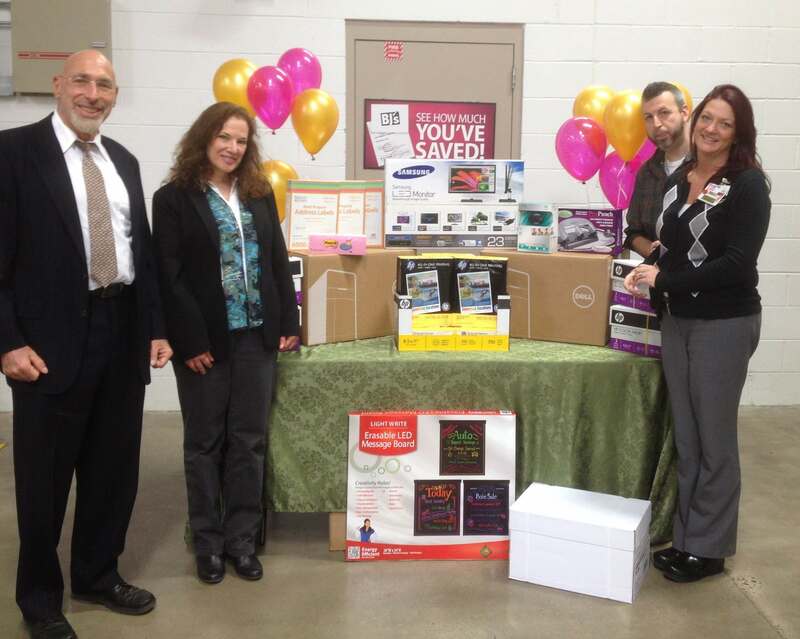 April 2014 BJ's Wholesale Club selected By Their Side for a Community Service Grant, replacing old computers and providing supplies to support outreach to Maryland families.